Thanks to Authuir, we have a Chinese docs. Other languages are welcomed! Use rateLimit to slow down when you are visiting web sites. Crawler picks options only needed by request, so dont't worry about the redundance. jQuery:false,// set false to suppress warning message. If you want to do something either synchronously or asynchronously before each request, you can try the code below. Note that direct requests won't trigger preRequest. In case you want to send a request directly without going through the scheduler in Crawler, try the code below. direct takes the same options as queue, please refer to options for detail. The difference is when calling direct, callback must be defined explicitly, with two arguments error and response, which are the same as that of callback of method queue. Control rate limit for with limiter. All tasks submit to a limiter will abide the rateLimit and maxConnections restrictions of the limiter. rateLimit is the minimum time gap between two tasks. maxConnections is the maximum number of tasks that can be running at the same time. Limiters are independent of each other. One common use case is setting different limiters for different proxies. One thing is worth noticing, when rateLimit is set to a non-zero value, maxConnections will be forced to 1. Normally, all limiter instances in limiter cluster in crawler are instantiated with options specified in crawler constructor. You can change property of any limiter by calling the code below. Currently, we only support changing property 'rateLimit' of limiter. Note that the default limiter can be accessed by c.setLimiterProperty('default', 'rateLimit', 3000). We strongly recommend that you leave limiters unchanged after their instantiation unless you know clearly what you are doing. Emitted when a task is being added to scheduler. Emitted when limiter has been changed. Emitted when crawler is ready to send a request. If you are going to modify options at last stage before requesting, just listen on it. Emitted when queue is empty. // For example, release a connection to database. Enqueue a task and wait for it to be executed. This options list is a strict superset of mikeal's request options and will be directly passed to the request() method. options.uri: String The url you want to crawl. options.timeout : Number In milliseconds (Default 15000). All mikeal's request options are accepted. res.body: Buffer | String HTTP response content which could be a html page, plain text or xml document e.g. $: jQuery Selector A selector for html or xml document. done: Function It must be called when you've done your work in callback. options.maxConnections: Number Size of the worker pool (Default 10). options.rateLimit: Number Number of milliseconds to delay between each requests (Default 0). options.priorityRange: Number Range of acceptable priorities starting from 0 (Default 10). options.priority: Number Priority of this request (Default 5). Low values have higher priority. options.userAgent: String|Array, If rotateUA is false, but userAgent is an array, crawler will use the first one. 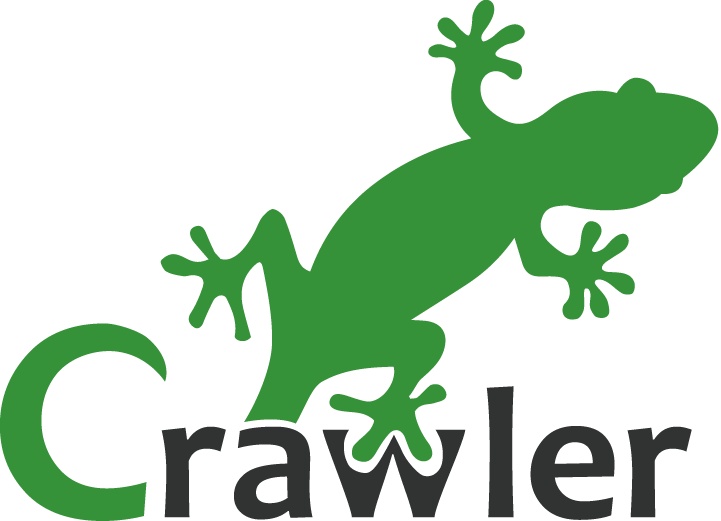 Crawler by default use Cheerio instead of JSDOM. JSDOM is more robust, if you want to use JSDOM you will have to require it require('jsdom') in your own script before passing it to crawler. In order to work with JSDOM you will have to install it in your project folder npm install jsdom, and pass it to crawler. Crawler uses nock to mock http request, thus testing no longer relying on http server. $ docker build -t node-crawler . $ docker run node-crawler sh -c "npm install && npm test"